Almost 45 years ago Don Servando Canela started as an entrepreneur. Barro Barro, La Casa Canela, La Calandria, Casa Vieja, Casa Canela, La Casona de los 5 patios, El Antojería, El Carrusel and San Miguelito are some of the businesses that have made the work of the family famous in places like Federal District, Guanajuato, Jalisco, Querétaro and Michoacán. 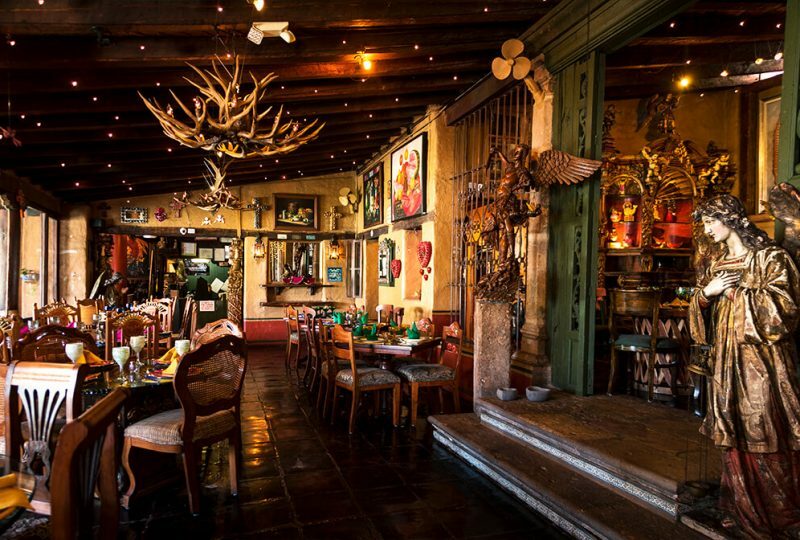 It was in San Miguel de Allende in September 1991 yearning for a dream in his life that the magical and famous “San Miguelito Piano-Bar” was born, as well as A PLACE FOR BIG PEOPLE. 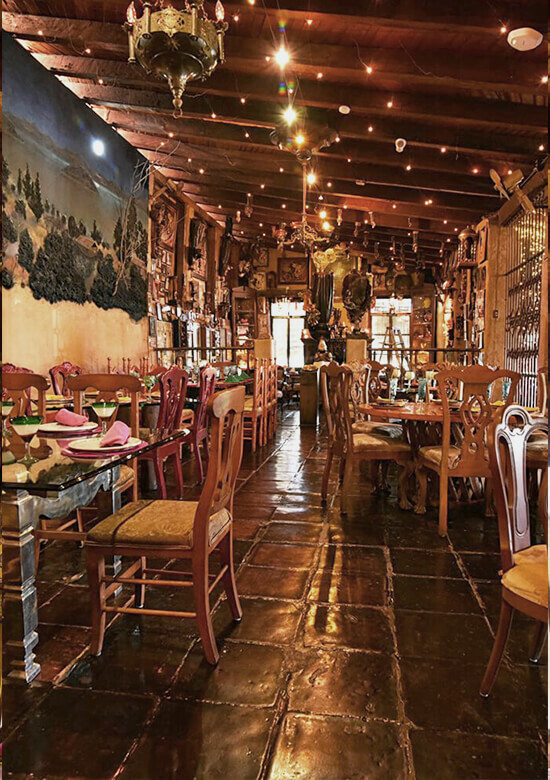 On March 6, 1996, San Miguelito Morelia Restaurant – Galería – Bar was opened to the public and at the beginning was headed by Don Servando Canela, his son Erick, his wife María Elena and soon after his daughter Cynthia joined. In 1999, Don Servando, Mrs. María Elena and Erick left to open San Miguelito Querétaro and Licentiate Cynthia remained in charge of San Miguelito Morelia until October 2017. 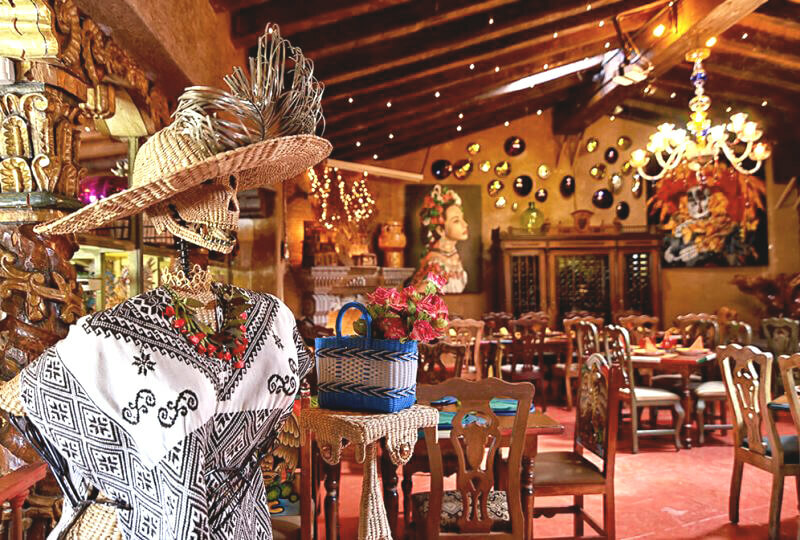 The place has been transformed and diversified in different ways; was opened: In the Tupátaro room, The store-gallery, The hall of La Catrina, The terrace (smoking area), The bar of the famous, The main dining room, The altar of conversation, The corner of the spinsters and The workshop where cooking classes are taught. Local ingredients have always been used and dishes have been created (what we know as author’s cuisine), and thanks to the recognition of our clients, they have traveled with the cuisine of San Miguelito and Michoacán through Mexico and around the world. .
We are a Socially Responsible Company: for the recognition and exposure of the best artisans and artists of Mexico, for making small producers our suppliers, for supporting with work and recognition the Traditional Cooks. Our clients, whenever they arrive in San Miguelito, have something new to discover, causing them to dignify themselves and appreciate the craftsmanship, the Mexican, since we have a large number of artisans and artists from different states of the Mexican Republic. Our reason for being Maintain an original and magical place with a painstaking team work, captivating the five senses of our customers. Being a restaurant recognized nationally and internationally for the quality of its food, beverages and its diverse settings in which they are exposed to the best artisans and artists of Mexico, integrating their work team, dynamic, enthusiastic and committed to Quality in service. Creativity: continuous improvement and innovation. Spirit of Service: dedication and enthusiasm. Around the image of San Antonio de Padua was created in Morelia a unique space in Mexico for single people who seek to find true love. The surprising thing is that this place is located in a renowned restaurant in the city. 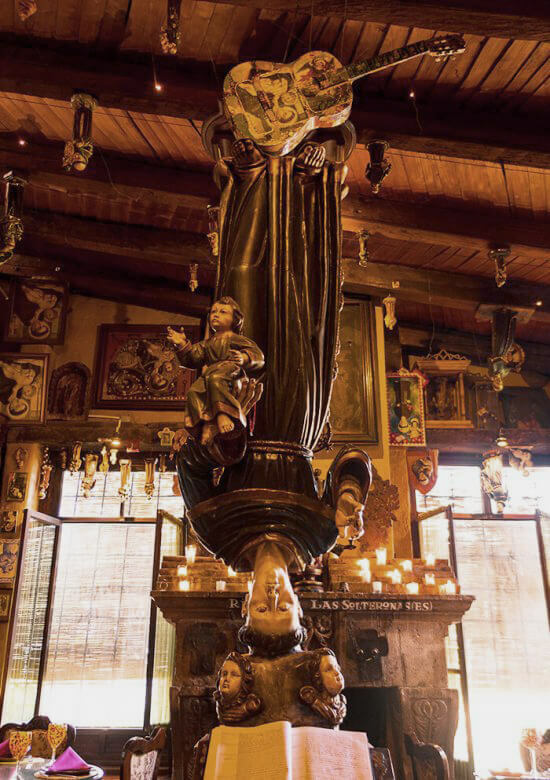 San Miguelito, where there is no longer a single image of the “miraculous” saint, but 850 that people have taken and tens of thousands of requests. This saint, to whom songs have already been composed, such as that of Sergio Denis who says ‘Pedile to San Antonio to send you a boyfriend’, has left requests as: “I ask a boyfriend who wants a serious relationship, handsome, good, with money .. “or” I ask you to send me the blessing of marrying a handsome, hardworking man (…), but above all that he loves me and respects me. Urgent”. San Antonio is for Catholic believers the saint of lost things and marriages, and in countries like Portugal, Spain, Peru, Argentina, Colombia and Mexico itself, among many others in the region, there is a belief that if it leaves him upside down (head down), the saint remains in penance until the requested request is fulfilled. In Morelia this tradition was born 23 years ago, shortly after the inauguration of the establishment, and has allowed the beginning of many relationships and love stories. Everything started with a collection of San Antonio paintings that Don Servando Canela (general director) brought to the restaurant. Some time later, Cyntia, in charge of the restaurant, remembers that one day she found a paper with a message in which one of the clients asked El Santo Franciscano to help him find a partner to love him. Those messages continued to appear until they were enough to be in a great book, at the base of the image of the Franciscan Saint. Today, there are many pages – collected in several volumes – in which hundreds of people have written, with their own handwriting, petitions or have left cuts with the favors requested to San Antonio. “It was an unexpected result. The same people were leaving the little glued. I took them off and that’s how the first book was born. Today, there are more than 27 thousand messages. ” Just as there are people who ask for an elegant couple, with good manners and with other money, maybe with less luck in love, they only ask for “being loved”. Others only ask San Antonio for a great love, and some, when they see their wish fulfilled, have left money in payment for the favor, says Cynthia, who says that on some occasions she has reached up to 1,958 Mexican pesos (about 150 dollars). ) near the altar of the Portuguese saint born around 1125.